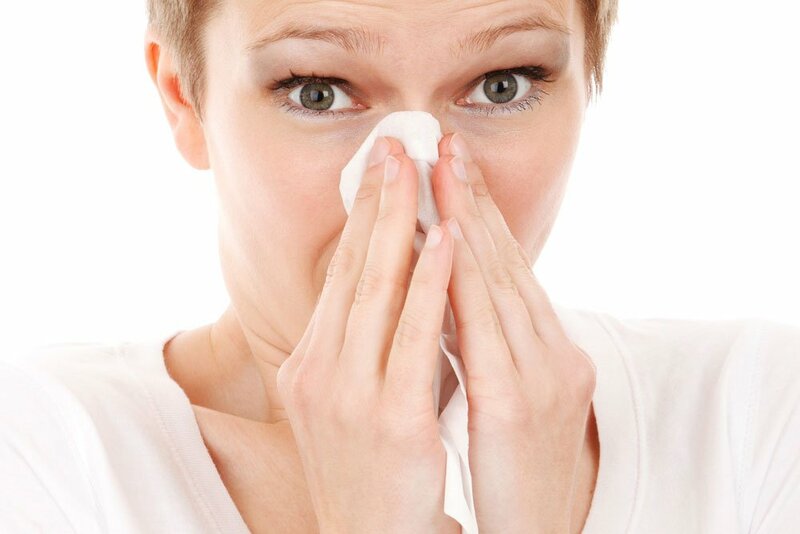 Nasal congestion or blocked nose is something we are all familiar with as a symptom of the common cold. It’s part of being sick with a cold or the flu. Sinus infections and allergies can also give you a blocked nose. What exactly causes that stuffy feeling? A clogged nose is the result of inflamed blood vessels in the sinuses. They become irritated and inflamed when you have a cold, the flu, a sinus infection or an allergic reaction. When blood vessels become inflamed, their valves open and more blood flows in, causing swelling in the nasal passages. Result? A blocked nose. Medications for the relief of a clogged nose are not always effective and many shouldn’t be used for more than three to five days. In fact, usage over several days can lead to the swelling coming back, which can cause a vicious cycle of rebound swelling and repeated drug taking. Natural products with medicinal properties are increasingly becoming the focus of clinical research as an alternative to drugs. When looking at supplements that might help for a congested nose, we find the few research studies provide strong scientific evidence that supplements like Spirulina and Tinospora cordifolia can bring effective relief. Pelargonium sidoides and Ephedrine also show real promise. Spirulina is blue-green microalgae that can be found in warm alkaline lakes in Africa and Central and South America. In the one study that looked at the effect of Spirulina on nasal congestion, a remarkably strong decrease was seen compared to placebo. Nasal congestion can be one of the symptoms of hay fever. This double-blind, placebo-controlled study, evaluated the effectiveness of spirulina for treating patients with hay fever. Taking Spirulina significantly improved a range of symptoms including nasal discharge, sneezing, nasal congestion, and itching. The scientists concluded that Spirulina is clinically effective for hay fever symptoms, which is great. However, they don’t know if the supplement will be effective for other causes of nasal congestion. Tinospora cordifolia commonly known as “Guduchi” is a large, deciduous tropical climbing herb used in Ayurvedic medicine to treat various diseases. Again, we have only one study that looked at the efficacy of the supplement on nasal congestion, and again the study was limited to nasal congestion that resulted from hay fever and not any other causes. In this randomized, double-blind, placebo-controlled trial, 75 patients were randomly given either the supplement or placebo for 8 weeks. The results were great. Two-thirds of the study participants experienced complete relief of their nasal congestion. However, as with Spirulina, Tinospora cordifolia has not been tested for a blocked nose that was not caused by an allergy. This supplement’s effectiveness is not limited to nasal congestion as a result of hay fever. Its effectiveness extends to other bacterial or viral conditions like the common cold and acute sinusitis. In a randomized, double-blind, placebo-controlled trial, scientists treated study subjects with acute sinusitis with 60 drops of EPs7630 thrice daily for one week. The study participants experienced significantly reduced nasal congestion relative to placebo. In addition, the symptoms seemed less severe and the EPS 7630 group recovered faster from the illness. Pelargonium sidoides on common cold symptoms. Supplementation of 30 drops of EPs7630 three times a day for10 days led to twice the reduction in symptoms compared to placebo. After 10 days 78.8% of those given the supplement were clinically cured, relative to 31.4% of those who received the placebo. In another study, Pelargonium sidoides treatment of asthmatic children with upper airway viral infection was able to reduce nasal congestion. Ephedrine is one of the four active components of the herb Ephedra. Pseudoephedrine – an ephedrine alkaloid – is widely used for the treatment of nasal congestion associated with common cold and allergy. One double-blind, randomized, parallel-group, placebo-controlled trial found that both a single dose and multiple doses of pseudoephedrine were effective in treating nasal congestion in patients who had a cold. The researchers recruited 238 people with nasal congestion and after a single dose on day 1 the pseudoephedrine group had improved their nasal congestion. On day three, after multiple doses, the pseudoephedrine group had statistically significant lower nasal congestion than the placebo group. Another double-blind single-dose placebo-controlled trial came up with similar results. A single dose of 60mg of pseudoephedrine increased the size of the nasal cavity and reduced the nasal congestion of the 52 people who participated in the trial. Although we have only two research results, the robust nature of the two trial designs is a good reason to conclude that ephedrine is effective for the relief of a stuffy nose. ECA stands for Ephedrine, Caffeine, and Aspirin. It seems that the decongestive effect of ephedrine can be strengthened by combining it with aspirin. One study investigated the efficacy and safety of a combination of 1,000 mg aspirin and 60 mg pseudoephedrine (PSE) on pain and nasal congestion in 833 patients with acute upper airway viral infection. The treatment involved a single dose over 4 hours and multiple doses over 3 days. The researchers found that the combination of aspirin plus PSE was superior to PSE or placebo for relief of pain symptoms as well as nasal congestion. A multicenter prospective, randomized double-blind, placebo-controlled trial involving 643 patients with the common cold, found that aspirin and PSE at 500-1000 mg and 30-60 mg respectively effectively reduced nasal congestion. The researchers concluded that the combination of aspirin with pseudoephedrine can be considered an effective and safe treatment for nasal congestion. If you have a blocked nose as one of the symptoms of hay fever, you could try either Spirulina or Tinospora cordifolia for relief. For a blocked nose that was triggered by a cold, the flu or sinusitis, both Pelargonium sidoides and Ephedrine seem to be well supported by scientific evidence. There are single studies that show that Nigella sativa, Stinging Nettle, and Rosmarinic acid have a minor relieving effect on nasal congestion.